RAPAPORT... Sears Holdings Corp. must pay suppliers for consignment goods its customers buy during the bankrupt retailer’s closing-down sales, according to a court filing last week. 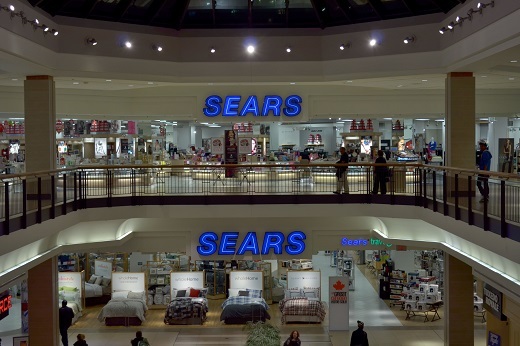 Vendors, including diamond manufacturer Rosy Blue and jewelry supplier Vijay Gold Designs, had objected to the department store’s previous closure plans, as they feared Sears would sell off products they had shipped to it on memo. In an October 25 update, judge Robert Drain instructed Sears to set up a special account for proceeds of any sales of those goods, and use it to transfer funds to consignment vendors. Sears filed for Chapter 11 on October 15, and plans to close 142 stores. Image: Sears store, Toronto, Canada.